The transformation stories we see everyday on Secret Slimmers are both motivational and inspiring. Seeing how far someone has come and the determination they put in to reaching their goal is truly remarkable in itself. These stories can be the push we need to stop thinking and starting doing to work towards our own target goal. Throughout 2016 we have had some amazing people achieve some amazing results. Looking back over the year is a great way for us to see how many people we have helped transform their lives for the good and start 2017 feeling happier and healthier within themselves. 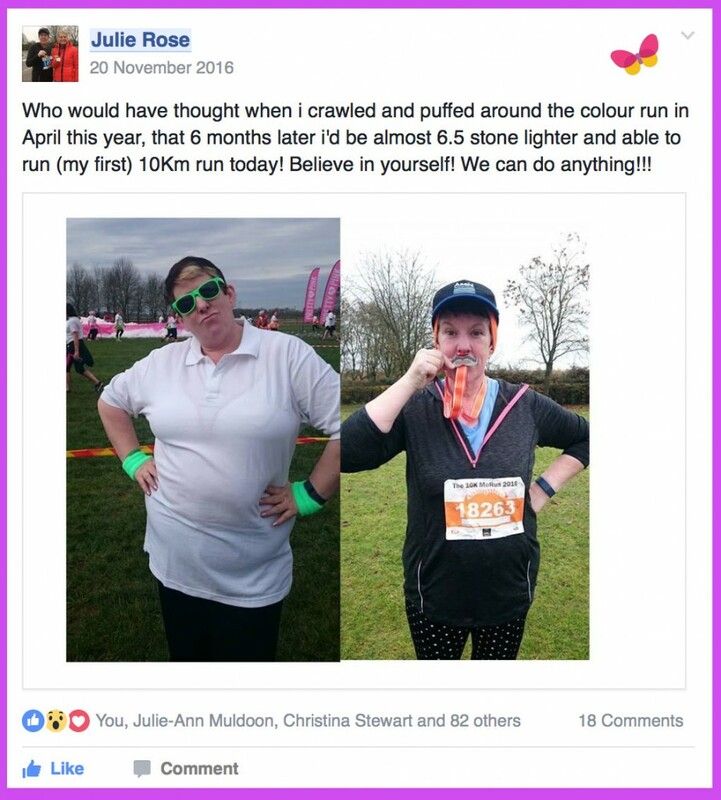 Like all our customers, once on your weight loss journey the help and support received within our Secret Slimmers community is all the encouragement you need to think ‘this is my time’ and to keep moving forward. One transformation story from last year that cannot go un-missed is Julie Rose. Winner of the Biggest Secret Slimmer Transformation in the New You Awards 2016. Her story is so incredible that is has helped so many people start their New You Journey just from seeing what she has achieved. 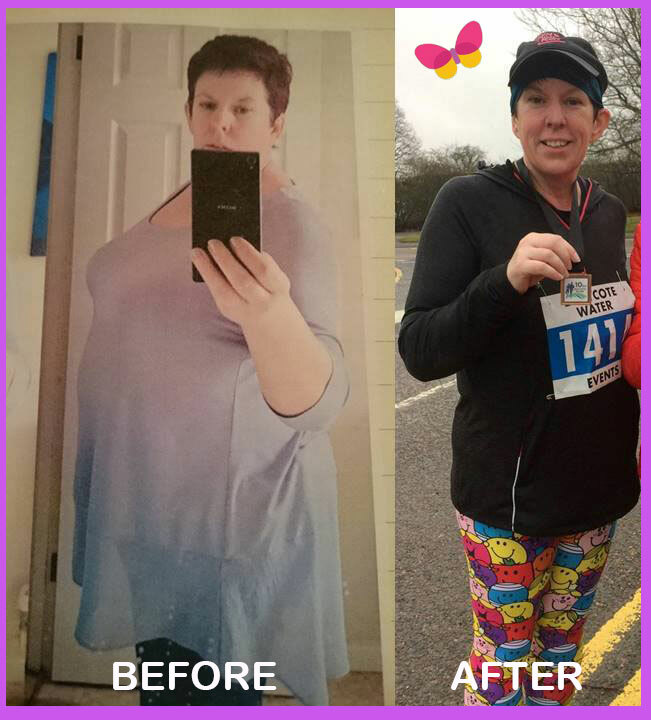 Not only is she almost 7 stone lighter in just 8 months on plan but she also managed to take up running and so far has completed 5 different 5km runs and a 10km. Julie’s story started when an unfortunate family event turned her life upside down leaving her unsure to who she was and what she wanted in life. By being unable to control the outcome of this event it led her down a path of low self esteem and depression which resulted in her comfort eating. 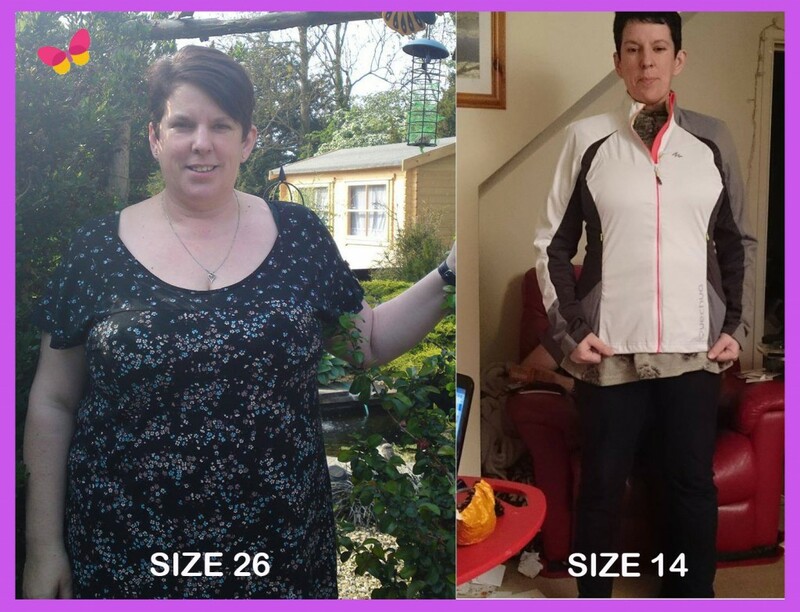 9 months after the initial trigger, Julie was over 20 stone and was wearing a size 26. She had tried several diets before but with the recent events it has passed her mind again until she saw an advert for The New You Plan appear on her Facebook timeline. At first her initial thoughts were “I couldn’t do that!” and exited the site but the idea of the plan stuck with her and she returned to the site a few days later and looked at it with fresh eyes. The more she browsed through the website the more inspired she got. To ease herself in she ordered enough meals for a week as she wasn’t sure how she would find the taste of the meals. Julie’s first week flew in, she loved the taste of the meals and how filling they made her feel but most of all she loved how in just one week she managed to lose just under 1 stone!! Secret Slimmers was a god send for Julie as it gave her the love and support she craved to keep her focused on her target weight. 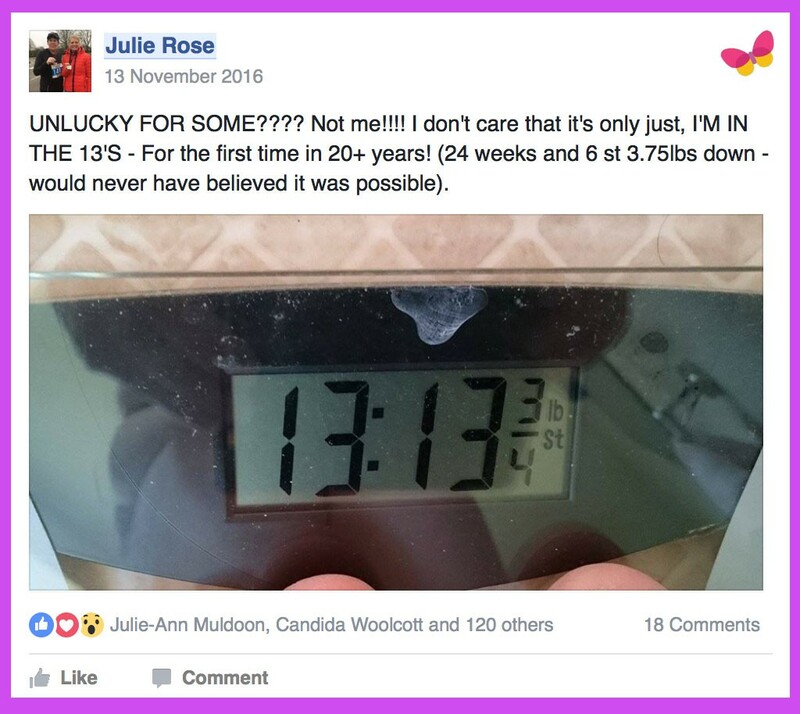 As the weeks went on so did Julie’s confidence within secret slimmers and she began to document her journey more and more. Like a lot of our slimmers, Julie’s attitude towards food started to change. She no longer wanted all the junk food she use to love, her tastebuds were evolving and she was starting to making healthier choices for both her and her children. 13 weeks on from the first day on plan and Julie lost an incredible 4 stone, taking her from a size 26 to an 18-20. In this time Julie didn’t only focus on her diet but she also made time to introduce exercise into her lifestyle. She took up running and completed five 5km runs, now that is a true inspiration in itself! 8 months on and Julie has gone from strength to strength. Her motivation to stay on track during both TFR and re-feeds are astounding as her target weight was getting closer and closer. Julie went from a size 26 to a size 14 and has lost just under 7 stone to date. 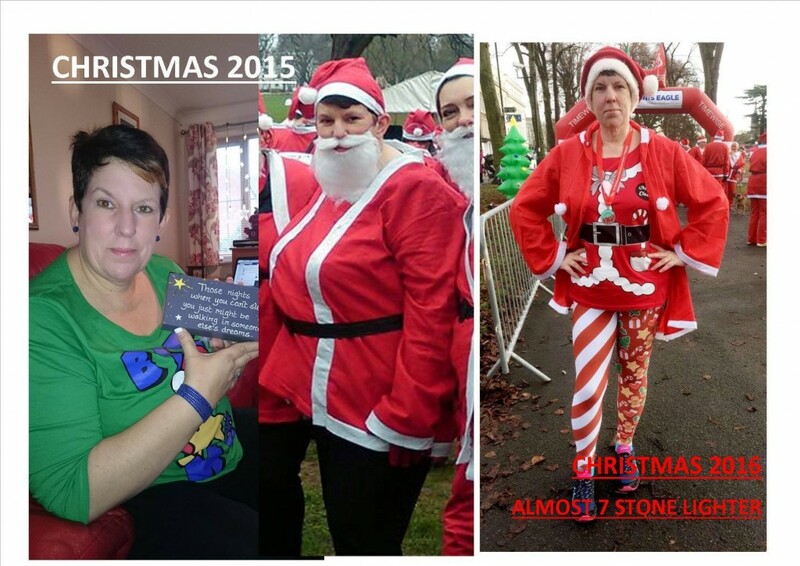 Currently only 1 stone away from target Julie’s determination will get her there and her Secret Slimmers family will be beside her every step of the way. Her story has provided others the same inspiration she first needed when she was starting out. Julie has managed to turn her life around in a year and is never going to look back. She is ready for a happier healthier 2017! What Julie has to say about her New You Journey..
‘One year ago, I was wallowing in self pity, having been left to be a single parent after 24 years. I spent every day self loathing, eating and feeling sorry for myself. Exercise was reaching for the remote for the TV or walking to the fridge/cupboard to see what to eat next. Then one day, having passed the twenty stone mark, this little facebook advert popped up. I can’t tell you why i even paid attention to it as i don’t know, but i spent a week continuing looking at the advert. Out of desperation, I ordered a week, never expecting to last one day on plan, expecting to hate it and die from hunger. haha! How wrong could i be! I loved it, it was like coming home. I loved the plan, it’s suited me and my life, and never once, not even on day one, was I hungry. I have to say i was completely shocked to see my name had been nominated – to start with I felt a bit of a fraud being amongst some amazing and inspiring members, i’d just lost weight, they on the other hand had been inspiring, uplifting, motivating. It was my daughter, Charlotte, who looked to me and pointed out that obviously other people thought i was, or else they wouldn’t have had typed in my name! That made me feel very special and humble. I’ve never been any good with compliments and this was the biggest compliment anyone could give to me. This win has really opened my eyes to how other people see me, and that maybe my perception of myself isn’t balanced. And that is the task I have set myself for 2017, to believe in myself, to see myself a other people do, to see the positives. How has the New You Plan changed you? The New You plan has changed my life so much, I do not recognise myself. And this is not just a physical change, but a mental change, being stronger, being determined. I’ve developed a competativness with myself that i have never had. I have taken up running and this competative edge has become obvious to me. How does 2017 look to you? January 2017 is the first year that my New Years Resolution hasn’t been solely weight loss! This year it was about liking myself, about making positive changes to my life in the future. 2017 is the first year I’ve looked forward to starting! All thank’s to New You. I just wanted to say a massive thank you to everyone. Firstly to everyone who voted for me in the recent awards. To think people voted for me for was humbling. Second a thank you to everyone on this site, for the support, the guidance, the recipe ideas, the laughter and the fantastic comments, all which have kept me going over the last 8 months, and lastly thank you New You – my award takes pride of place in the living room! Inspired by Julie’s story? Then why not take advantage of our double discount promotion to end January strong. We are offering you 40% off all individual products as well as an extra 40% to spend in Feb and Mar once you have used the LOVEYOURBODY code. What are you waiting for? This is the perfect opportunity to stock up on all your New You favourites to ensure you hit the ground running right up to the start of February.